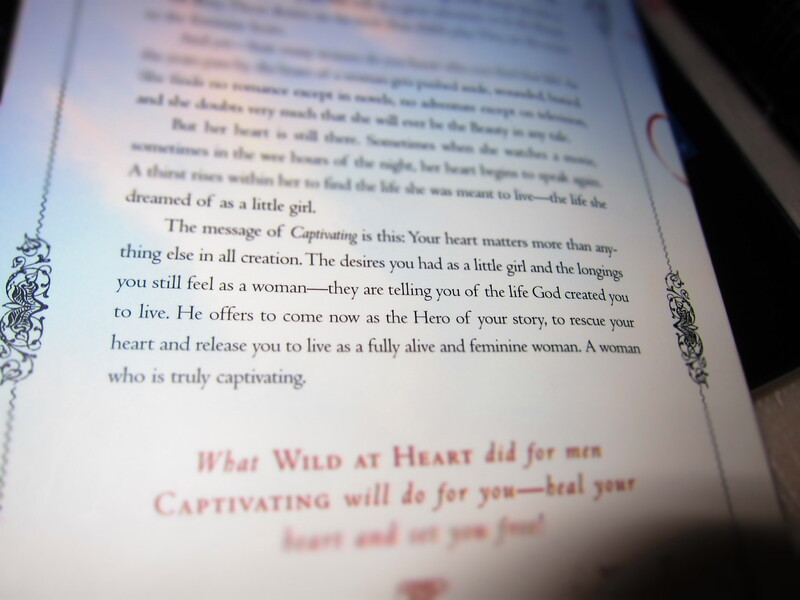 Before I left for Canada, I received the book “Captivating” as a send-off gift for me. When I started reading it, I just couldn’t drop the book. But I didn’t know what happened, I wasn’t able to finish it. And today, I started reading the book again. It was Ai (Irene) who reminded me of the book when she started posting lines about it in Facebook. Here’s what is written at the back cover of the book. A glimpse of what the book is all about. Go get your copy now! It’s really worth reading. Be encouraged! yes.. the book revealed so much about God and ourselves, His beloved. The book will be the next on my list. I want to be blessed too! By the way Pepz I remember giving you a journal hehe. i think its angel who gave you the book peps..siya lang yata ung may dala nun before eh..not 100% sure mga 90% lang hahaha..